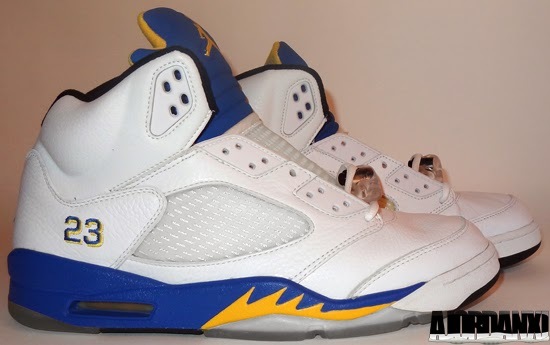 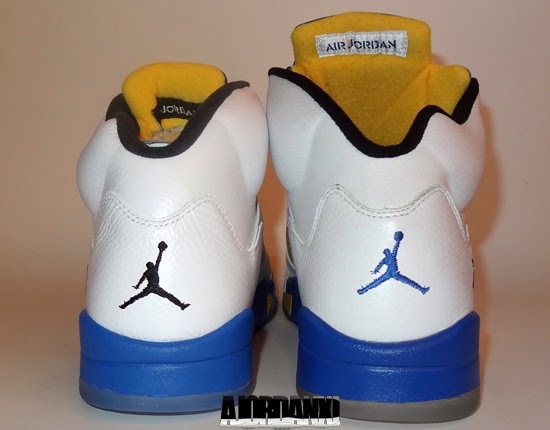 ajordanxi Your #1 Source For Sneaker Release Dates: Air Jordan V Retro+ 2000 vs. Air Jordan 5 Retro 2013 "Laney"
After a thirteen year hiatus, the "Laney" Air Jordan 5 Retro was released for its second time. 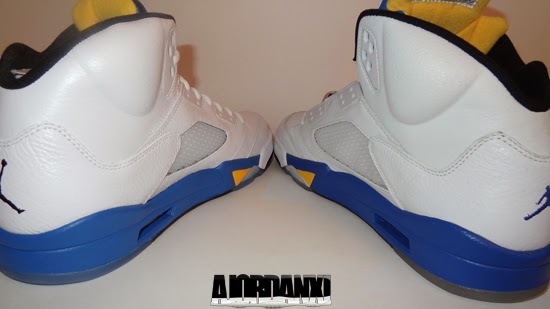 Although they originally did not sell very well, the constant pleas from the sneaker community were finally answered earlier this month when this colorway returned. 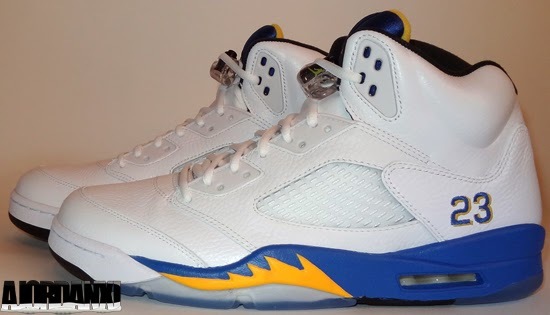 I have had the original 2000 Retro+ release since they dropped and picked up a pair of the recent 2013 release as well. 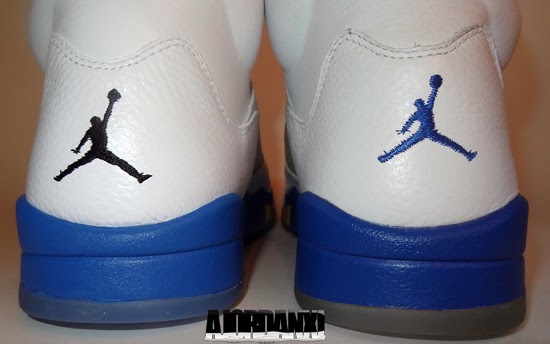 Below you can see a detailed look at some comparison photos I took of both pairs. 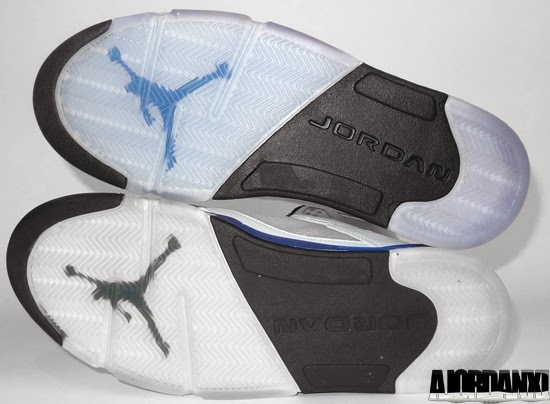 As you can see, the 2013 release is very similar to the 2000 release, even featuring tumbled leather. 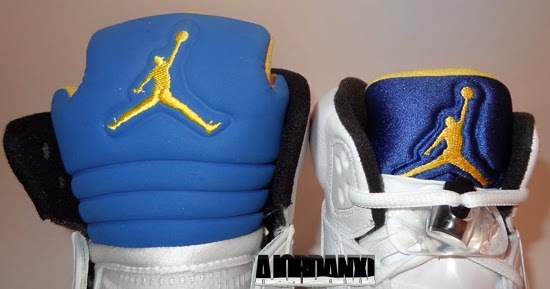 However, you can also see the various differences between the two as well. 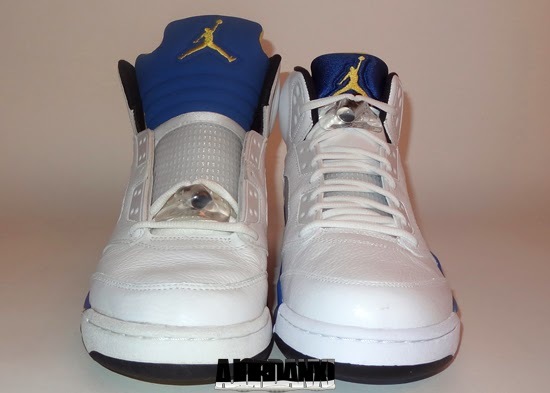 The unlaced pair is of the 2000 edition while the laced pair is of the 2013 edition. 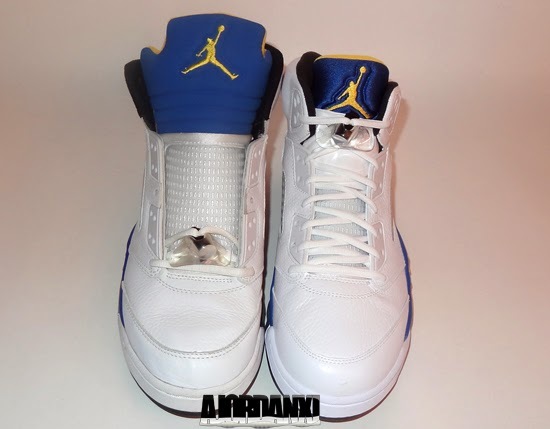 Enjoy the detailed comparison images below of the Air Jordan V Retro+ "Laney" in white, varsity royal and varsity maize from 2000 vs. the Air Jordan 5 Retro "Laney" in white, varsity maize, varsity royal and black from 2013. 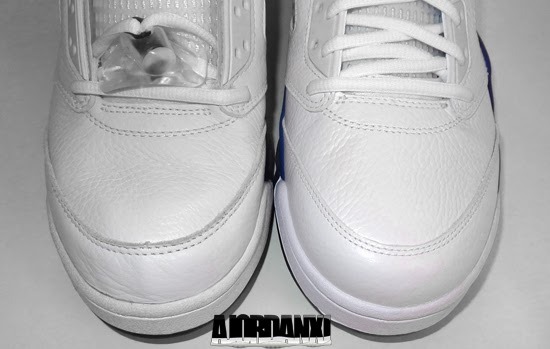 If you're look for either pair, you can grab them from eBay here.